Do you like gin? I do. 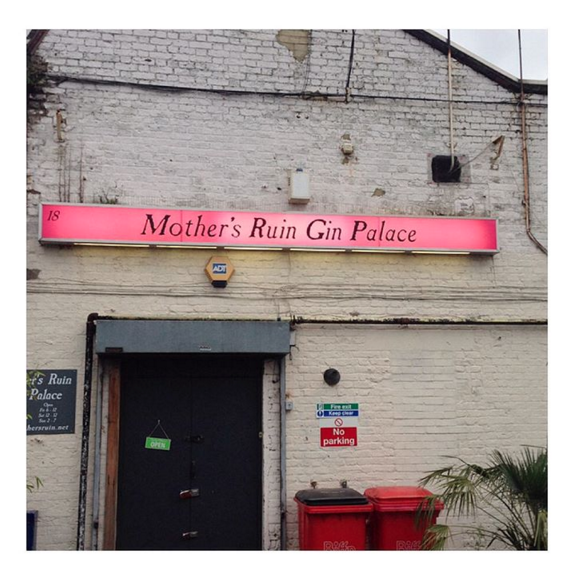 Mother’s Ruin Gin Palace in Walthamstow is one to visit when you fancy a glass of something delish. I had a plum brandy, which tasted like – what I imagine – fairies drink. It was delicately sweet, with just the right amount of fruitiness. What also made me fall in love with it was the colour – a very gentle plum pink. Divine! 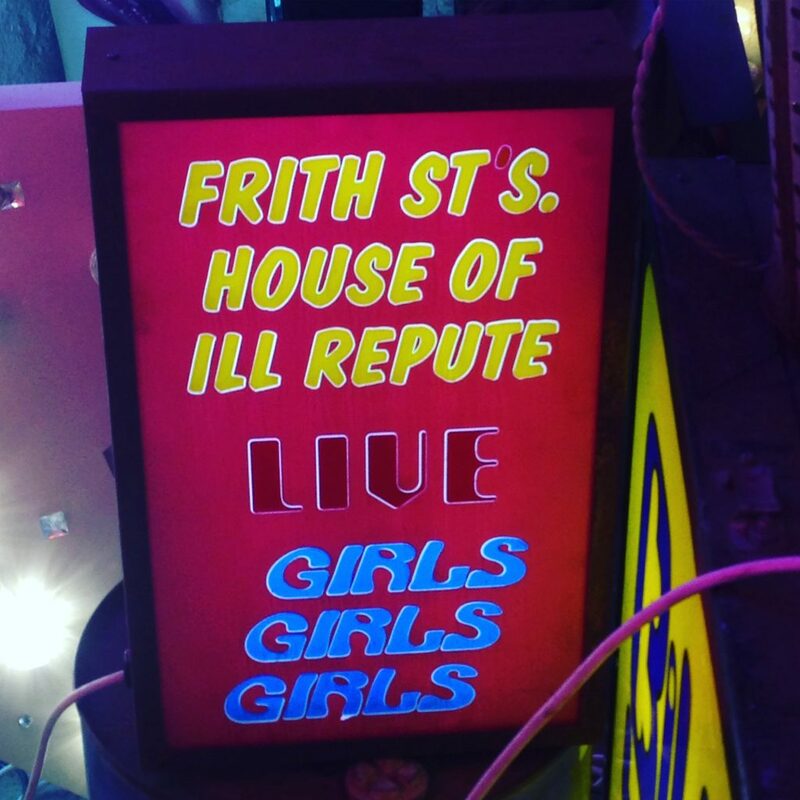 Next door to Mother’s Ruin Gin Palace in Walthamstow is God’s Own Junkyard. God’s Own Junkyard is a great place to spend a Sunday afternoon browsing. 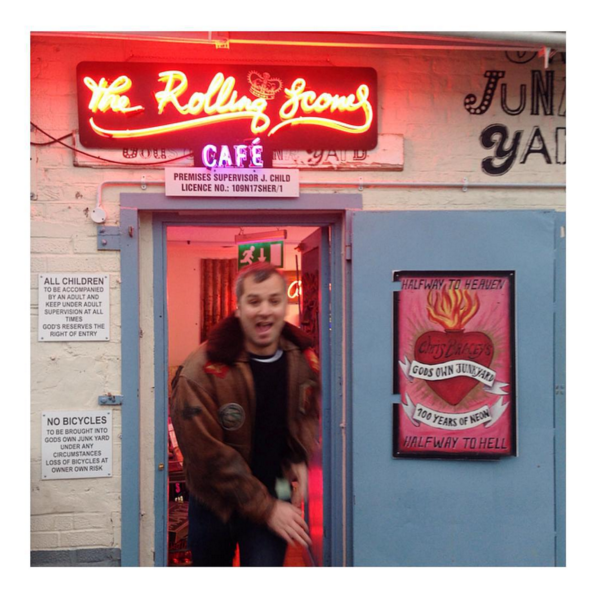 There is now a cafe called The Rolling Scones at the back of it too, so you can refuel once taking in all the fab light art. 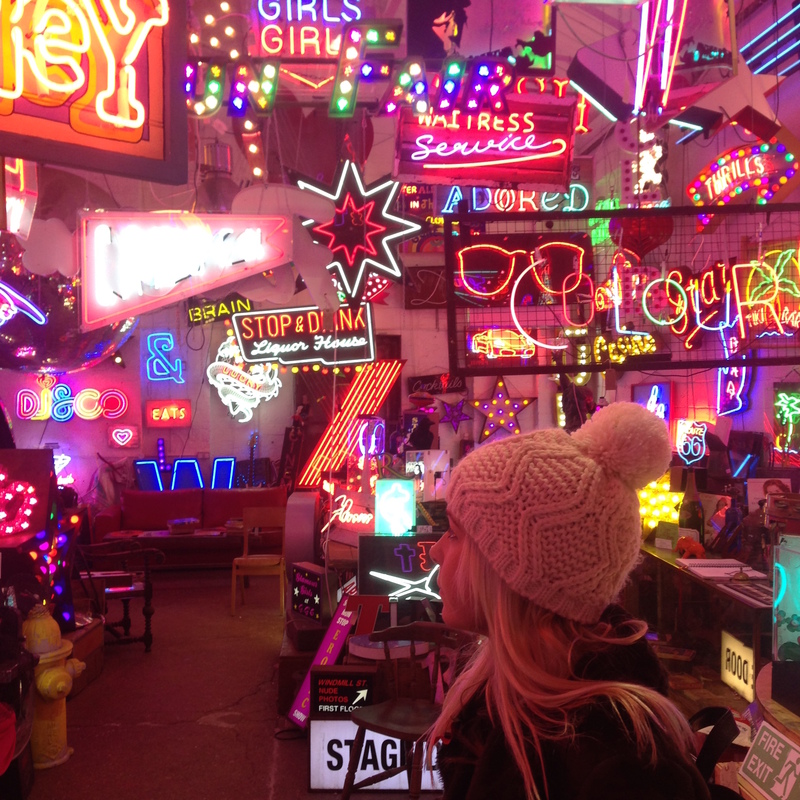 God’s Own Junkyard is filled with vintage neon signs and art. 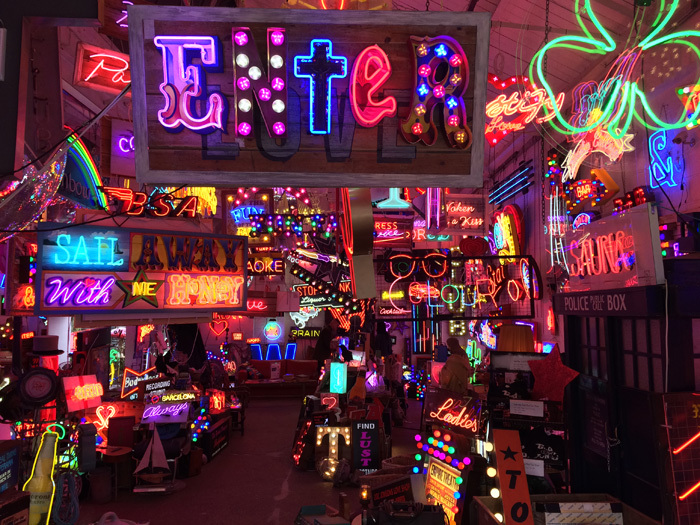 Chris Bracey’s family still produces neon art.